You know that saying about how the Swiss do and make everything better? The Final Shot: For espresso purists looking for a high-quality shot, with minimal bells and whistles, go with the streamlined and more wallet-friendly Ena Micro 5. For latte and cappuccino fans who prefer variety, our pick is the Impressa C65, with fine foam technology and all the features of the lower models – it is the best value compared to some of the top-end models that offer only small upgrades. For the overall best of the best, the Giga 5 is the one to look at (or drool over). Featuring every technology upgrade Jura offers along with double everything (grinder, spout, foaming, etc. ), it is like having your own personal Barista at home. Nothing compares. Jura Elektroapparate AG was founded in 1931 as a distributor of home appliances. The company’s headquarters are in Niederbuchsiten in northern Switzerland. It wasn’t until the early 1980s that the company began producing its largest sales product: automatic coffee and espresso machines. Every feature on every Jura machine is fully automatic—from the first step where coffee beans are freshly ground, to the final step where the machine self-cleans. 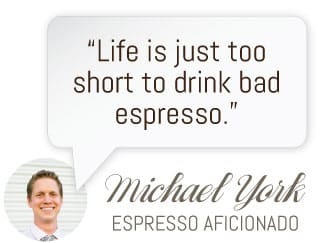 You will find yourself enjoying the highest quality espresso-based beverages in less than 60 seconds, and with little more than the touch of a button. I think most of us can handle lifting a finger to tap a touchscreen, right? Isn’t this what our iphones have been training us for all along? Jura activation? But what really sets the company apart is their passion for ease AND quality. Like everything else Swiss, you’re not buying a machine, you’re really making an investment in high performance, precision, and when it comes right down to it: beauty. Their espresso machines are a thing of beauty. Both in terms of how the internal mechanisms function to produce a perfect shot of espresso and the aesthetics of the design and housing. ENA Micro Line: These machines are designed to deliver the best possible espresso, while taking up the least amount of space possible. They are ultra-compact machines that can fit anywhere, and can add supreme quality coffee to any environment. A Line: Machines in this line incorporate a touchscreen display and numerous, small improvements over previous models. The company prides itself in making complicated technologies self-explanatory, so you can expect these machines to be intuitive and powerful. C Line: These machines incorporate specialty coffees and espresso-based beverages like cappuccinos and lattes without having to move your cup. They are compact, super-automatic machines that allow you to customize your coffee preferences with the press of a single button. E Line: The E line introduces Jura’s P.E.P. (Pulse Extraction Process) technology, which optimizes your coffee experience throughout the brewing process. It also incorporates a self-detecting water filtering technology, making it a largely technological upgrade from previous models. F Line: Machines from the F line make use of all of Jura’s base technologies, while focusing on design and style. This is the aesthetic machine, with the functionality of the best super-automatic espresso machines on the market. J Line: Machines from this line incorporate a rotary switch that allows you to select and pre-program coffees into your daily routine. Each of the models in this category incorporates Jura’s base technologies, and the focus here is also on design and style. Z Line: The Z line machines utilize RFID technology to filter and use only the purest water through an Intelligent Water System (I.W.S.). Depending on the Z model that you purchase, you could have any number of the Jura technologies currently offered, including P.E.P. and the rotary switch. GIGA Line: These are the biggest of the machines on the list, with each machine weighing over 40 lbs. and boasting two grinders, two heating systems, and two pumps that are independently capable of brewing every specialty coffee available on other machines. It is fast and quiet, with a focus on design and programmability. IMPRESSA Classic Line: These machines were the first in Jura’s lines to offer one-touch cappuccinos and lattes. The designs in this line have been upgraded from previous models, and the machines remain one of the original symbols of Jura’s high achieving automatic-coffee machines. Jura’s research and development team is always busy making coffee dreams happen (aka figuring out how to make the process smoother and tastier), and they have incorporated numerous technological advancements into their machines. We’ve consolidated and explained some of Jura’s key features, so that you can know exactly what’s going on in the making of your beverage. Aroma+ Grinder: This is the grinder technology inside almost every Jura machine, designed to quickly but gently grind your whole beans into espresso grounds. Different machines have different Aroma grinding technologies, upgraded as you move up the model line-up, but the general principle for Jura grinders is to grind quickly, quietly, and gently. CLARIS Filter System: This anti-scaling technology is designed to filter out hard minerals and prevent calcium deposits from building up on the heating element. Instead of having to treat your machine with chemical additives, CLARIS softens your water and makes it easier on your machine. CLEARYL Filters: These water filters are cartridges designed to filter impurities out of the water that you use in your machine, and there are three versions available for purchase. The most common filter is the CLEARYL Blue, but different machines occasionally call for different filters. Energy Save Mode: Most Jura machines have customizable energy output settings, so that you can make sure to save energy during the parts of your day where you don’t need your machine. Machines equipped with E.S.M. technology are programmable to save up to 40% of energy output. Fine Foam Technology: This technology froths milk twice in separate chambers, before slowly and evenly distributing the milk foam into your espresso-based beverage. The foam is compacted, hence the name “fine foam,” and has a creamy, sweet consistency. Intelligent Water Systems: The I.W.S. is a detection technology that communicates with the machine and the owner on whether there is a water filter in the machine that is adequate for use. The technology determines the best course of action, and notifies the owner of when it is time to change filters. P.E.P (Pulse Extraction Process): This technology optimizes the coffee extraction process by managing the hot water levels and pumping it through the coffee grounds according to the type of drink being prepared. Rotary Switch: This technology allows you to navigate through the programmable features of your Jura machine with ease. The rotary switch lets you customize water quantity, and other settings that you may wish to change in order to suit your taste. TFT Display: This technology is paired with the rotary switch for an intuitive browsing experience. The machines equipped with this display allow you to select from all of the specialty drinks available on your machine, and with the press of a button, the machine will create it for you. As we review the individual Jura machines, we’ll make note of the different technologies so that you can be sure that you are investing in the highest quality machine that fits your lifestyle. Now, onto the good stuff! Let’s dive into the nitty gritty of the beautiful machines Jura offers and break down what you can expect from each model. The range of these machines is considerable, from one-touch single serving espresso, to nearly unlimited variations of espresso and coffee-based beverages. We’ll cover every machine on Jura’s home product line, highlighting the key advantages, disadvantages, and suggesting what kind of lifestyle or home the machine is best suited for. Each of the machines carries a name that designates its line, so if there is any confusion, just reference the section dedicated to Jura lines specifically. Best Suited For: The ENA Micro 1 will add to any space, and any lifestyle. It would only look strange in a gigantic kitchen, where its size would undersell its functionality. 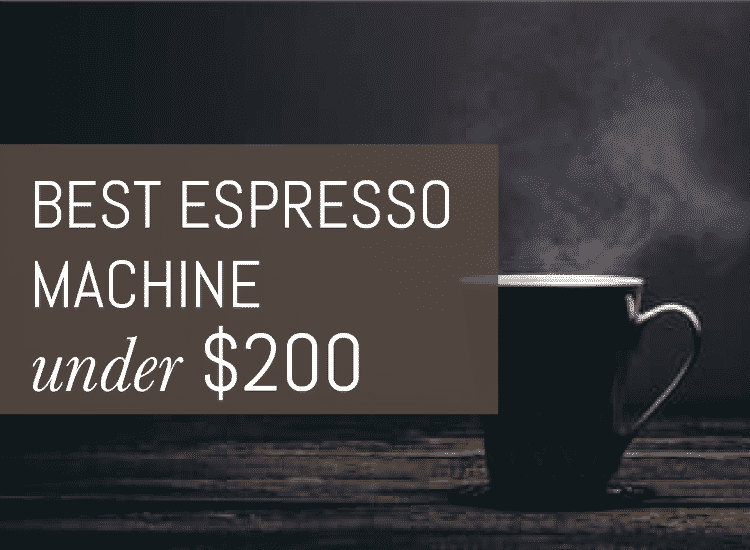 If you are looking for a machine that only does espresso, and does it fast and well, this would be an excellent model for your consideration. This machine will fit anywhere, and improve any space. If you’re looking for compact-design, this is as sleek and compact as it gets. A simple touch panel allows you to select from three different serving sizes of espresso, and two different levels of aroma. The machine has energy saving technology, so you won’t have to worry about wasting energy as you enjoy your espresso. Intelligent preheating system makes sure that your espresso is enjoyed properly from the very first cup. This is a no frills machine, so if you are looking for something with milk capabilities, or programmable customization, this machine isn’t going to take you very far. Coffee Bean Capacity: 4.4 oz. To see a full in-depth review check out my individual ENA Micro 5 review here. Best Suited For: Like the ENA Micro 1, the ENA Micro 5 easily fits into any space and lifestyle. It is particularly good for couples or roommates who live together and have similar morning routines, as one will not have to wait for the other to brew a cup of espresso. A dual spout recognizes whether you are having one, or two cups prepared, and brews the corresponding amount quickly and professionally. The Aroma+ preservation cover prevents your beans from drying out or losing important aromas, while the Aroma+ gently and efficiently grinds the beans. Features the same dimensions as the ENA Micro 1, making this an ultra-compact option for any home or residence. Grinder technology ensures that your beans are ground quietly, quickly, and in a way that yields only the finest espresso. This machine still doesn’t have a lot of functionality. Especially if you live alone, there isn’t a lot of incentive to upgrade to the dual spout. The ENA Micro 9 is a single serving machine that adds the ability to make milk-based beverages, like lattes, macchiatos, cappuccinos, and café crème. It maintains the focus on compact design, without sacrificing any quality. Best Suited For: As with previous ENA models, the ENA Micro 9 adds to any space and lifestyle. If you’re into milk-based beverages, then this could be a welcome addition to every type of residence, except perhaps dorm rooms, where its value might make it out of place in its environment. Straightforward operation, featuring a height-adjustable dual spout for both coffee, and milk. Fine foam technology ensures that your milk is transformed into a light, dense luxury to be added into your espresso or coffee. Maintains the ENA Micro Line’s focus on sleek design, with the same dimensions as the ENA Micro 1 and the ENA Micro 5. Simple, one-touch operation eliminates any confusion, and produces top-quality espresso without any complications. With much the same specifications as the previous ENA models, the only con is that users looking for more customizable options might be averse to the incredibly simple, one-touch operation of the ENA Micro 9. The ENA Micro 90 is the only machine in the ENA Micro line to incorporate JURA’s P.E.P technology. That is the main draw to the machine, as much of the design and functionality (beyond the P.E.P. technology) is largely the same. Best Suited For: The ENA Micro 9 is the best machine for your sophisticated, urban apartment, or for any office space where functionality and professionalism is valued. As with the other ENA Micro machines, it could fit in anywhere. The Pulse Extraction Process (P.E.P.) technology makes the optimal cup of espresso, pulsing hot water through the coffee grounds at ideal levels. Incorporation of the AromaG3 grinder, which is twice as fast as the Aroma+ while retaining all of the aroma and flavor of the beans. Self-explanatory, simple modes of operation by means of the Rotary Switch ensure that programming your favorite options is hassle-free. Maintains the high standard of design present in the other ENA Micro line models, allowing the machine to fit into any space. Programming the machine isn’t difficult, but can be cumbersome, as there is only a small plain text display paired with the otherwise incredibly functional Rotary Switch. The IMPRESSA S9 Classic is focused on providing a superior quality cappuccino and latte macchiato, all without anything more than the press of a button, and without you even needing to move the cup at all. Best Suited For: The IMPRESSA S9 would be excellent for the workplace, where ease of access is prioritized over features and functionality. It would also be a great addition to the home, but it is a bit bulky, and is certainly not as streamlined as other comparable models. There is a wide range of variations in the way that you can prepare coffee without using milk. The height-adjustable coffee spout allows you to make any combination of drinks in any size of glass or vessel (hello, travel mugs!). Active bean monitoring ensures that you never have to worry about when to refill the hopper, and gets rid of the problem of running empty. One touch lattes and cappuccinos means that you never have to worry about getting the proportions right. This machine is somewhat underwhelming in the features that it offers, in that there are plenty of comparable JURA machines available with better designed features. Water Tank Capacity: 90.3 oz. Coffee Bean Capacity: 9.9 oz. The IMPRESSA A9 features an intuitive touchscreen display, so that you can select specialty drinks and customizable coffees that are almost instantly prepared. The machine also offers a new specialty coffee, the latte macchiato doppio, and cappuccino doppio. Check out my in-depth individual review of the Jura Impressa A9 here. Best Suited For: The IMPRESSA A9 is an excellent all-around model, with the compactness of design that makes the ENA Micro machines great options. This would be a welcome addition to any home or urban apartment, where design and functionality are key. 12 specialty drinks available, with the doppio variations featuring fine, incredibly light foam on top of any specialty drink. Height-adjustable spout with built-in fine foam technology means that you will be able to create specialty drinks easily, without having to move your cup. The Aroma+ grinder gently grinds beans to the perfect fineness, and in short order. Award winning design brings a sophisticated aesthetic into any home. While the touchscreen is an excellent option, some people just don’t like having to deal with touchscreen displays, and prefer analog controls like the Rotary Switch. The IMPRESSA C60 incorporates the Rotary Switch for a simple, easily accessible experience. 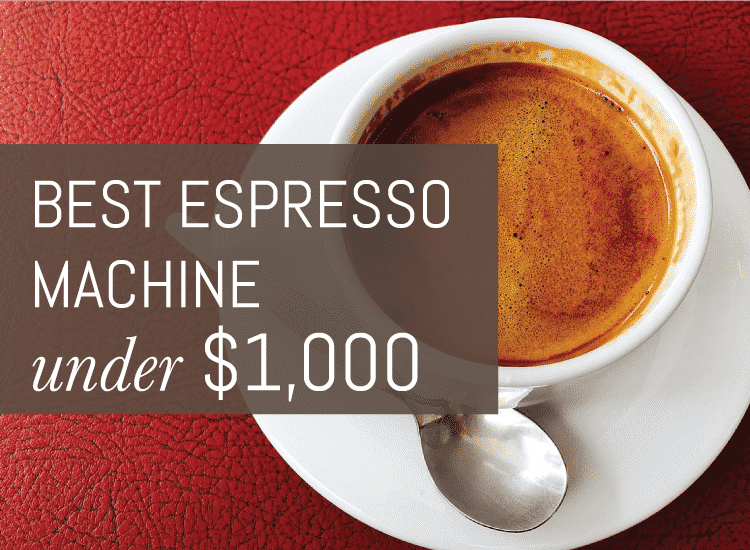 The machine specializes in a range of coffees, from espresso, to large cups of drip-style coffee. The fine foam frother brings cafe-style milk beverages to the home. Best Suited For: The IMPRESSA C60 would be the machine for the office, with easily accessible and base features that no one runs the risk of messing up. It would also work in a home with reasonable counterspace, as it is aesthetically pleasing and not overly bulky. The Rotary Switch makes it easy to select and program any variation of coffee that you would like, from water amount, to coffee amount. Height-adjustable spout protects against splashing, and ensures a rich and velvety layer of cream with every coffee or espresso. Intelligent pre-brew aroma system is available as with the A9 model. Fine foam technology gives a sweet and light finish to any espresso-based beverage. This machine is incredibly streamlined, but is notably absent of many of JURA’s recent technological advancements, making it a slightly outdated option. Water Tank Capacity: 63.6 oz. Coffee Bean Capacity: 7.1 oz. The IMPRESSA C9 is a streamlined cappuccino machine, with little to no frills, and little to no room for error. For the simplest, least technologically advanced option, the IMPRESSA C9 offers a straightforward experience, reminding us of JURA’s high standards for even its most basic machines. Best Suited For: The IMPRESSA C9 would also be perfect for the office, where its streamlined features and accessible preparation would make it difficult for anyone to be confused. It is, as are all JURA machines, a supreme quality coffee machine. One-touch cappuccinos for incredibly simple, streamlined coffee preparation. Height-adjustable spout, adjustable for the smallest espresso cup, or largest travel mug. Zero-Energy Switch, which cuts the machine off from its main energy supply as soon as coffee is done being prepared. Plain text display and Rotary Switch makes the coffee selection process incredibly simple. As with the IMPRESSA C60, the C9 is also notably absent of many of JURA’s recent technological advancements. It too is a slightly outdated option. The E6 is the first machine to fully incorporate the P.E.P. extraction technology. It also incorporates an Intelligent Water System, and a new line of CLEARYL filters that makes water even gentler on the working mechanisms of the machine. This is an especially technologically adept machine, showcasing many of JURA’s recent advancements. The E8 model automatically incorporates the professional fine milk frother into the E6’s Connector System. This is the only significant upgrade to the E8 model, and all other technologies in the E8 are the same as the technologies found in the E6. Best Suited For: The E8 is ideal in a modern, sophisticated home, where technology is the dominant culture. It would be perfect in a modern kitchen, or any space where the focus is on features and a technologically proficient user base. P.E.P. optimizes water levels and pulses the water through coffee grounds, mimicking the techniques of professional baristas for ideal extraction. The Intelligent Water System protects your machine against scaling, and links the CLEARYL Smart filter through radio detection technology. The accessibility of the machine is made evident by the TFT color display, and a localized control panel on the front of the machine. Maintenance on the machine is simple and mostly automated, as the machine keeps you and your coffee hygienic and impeccably clean. This is an incredibly impressive machine, with little to nothing to complain about. That being said, some people may be averse to the price tag that comes with such a leap in technology. The IMPRESSA F7 is a more advanced progression of the IMPRESSA series, which focuses on delivering a superior espresso or coffee with little to no interaction on behalf of the consumer. This model incorporates that Aroma+ grinder, and a handful of small tweaks for even better coffee. The IMPRESSA F8 model boasts all of the same technical features as the IMPRESSA F7, but is the first in the compact series of machines to incorporate a TFT Color Display. Other than this navigational upgrade, the two models are identical. To see my full Impressa F8 Review, click here. Best Suited For: The F8 would be an excellent machine in a powerful business office, or in the home of a sophisticated and on-the-go individual. This is the machine for superior quality, and minimal effort. The Aroma+ grinder delivers fast, quiet, and gentle grinds into the machine, preserving delicate aromas and getting you high quality coffee, fast. Wide selection of beverages available, from all sizes of espresso, to an extremely high cappuccino. Energy efficient, using strong heating elements to bring your machine up to speed fast, without staying on and driving up your electric bill. Height adjustable spout, so that you can pour the smoothest beverage without splashing or ruining that perfect layer of crema. The IMPRESSA F7 and IMPRESSA F8 machines are excellent machines, but the price is dangerously in-between not getting the best technologies available, and not upgrading enough from previous models to make it an incredibly attractive deal. Coffee Bean Capacity: 10.9 oz. The IMPRESSA J9.3 continues to add on to the technologies of the IMPRESSA series. This model incorporates the TFT Display, and focuses heavily on design improvements to make it more compact, sleek, and aesthetically pleasing. These two models are technologically identical to the IMPRESSA J9.3, but they are alternative interpretations to the IMPRESSA J9.3’s award winning design. The J90 is reinterpreted in pure silver, while the J95 features a hand-finished carbon exterior. Best Suited For: The J9.3 would be an excellent machine in a powerful business office, or in the home of a sophisticated and on-the-go individual. This is the machine for superior quality, and minimal effort, with many of JURA’s technologies packed into the award-winning and aesthetically driven design. The TFT Display with Rotary Selection allows you to program and customize your coffee experience easily. A metallic, silver lacquer gives the machine a futuristic and eye-catching presence. The Zero Energy switch allows you to save on energy, while not sacrificing time to heating. Height adjustable spout, along with other customizable options for your perfect cup of coffee, to taste. The IMPRESSA J9.3 is a strong machine, incorporating almost every feature of the IMPRESSA lines before it, but can feel underwhelming for its steep price tag. Water Tank Capacity: 70.3 oz. Coffee Bean Capacity: 8.8 oz. The IMPRESSA Z9 is a large machine, moving JURA’s focus away from small and compact, to large and powerful. This machine is incredibly programmable and customizable, with the full color TFT Display for ease of use. Best Suited For: The IMPRESSA Z9 would add an extra layer of professionalism to a professional services office, or any work environment. You could impress your clients and make your employees happy all at once. It is a bit large for the home, but perfect as a centerpiece for your kitchen, provided that you have a lot of available counter space. The TFT Display with Rotary Switch allow you to move up to six products onto the intuitive and user-friendly screen. Ability to select and control 11 different specialty coffees, each fully customizable. Fine foam technology allows you to add supreme quality milk foam to any beverage. Highly luxurious design, with craftsmanship that anyone would be proud to feature in their office or home. The IMPRESSA Z9 is bigger, but that doesn’t necessarily mean better. While the quality of the coffee is nearly unrivaled, it is still not as technologically robust as other JURA models. Water Tank Capacity: 93.7 oz. The Z6 is a showcase of every JURA technology available. It features the Pulse Extraction Process, and merges the combined advancements of the AromaG3 grinder, and CLEARYL Smart filter system, for perfect water, perfect coffee grounds, and P.E.P. to bring them together into the perfect beverage. Best Suited For: If you live in a luxurious, modern space, then the Z6 will fit right in. It is the perfect addition to any home with a large kitchen space, and would add a professional touch to any workplace. P.E.P. for optimization of water flow through the coffee grounds, meeting professional barista standards and ideal extraction. CLEARYL Smart filters, with the radio detection technology, means that you will never have to wonder about your filter, water, or maintenance status. All controls located on the front, for accessible, simple operation. Surprisingly compact, with an award-winning design that boasts superior Swiss craftsmanship. Includes all the top features of previous models. 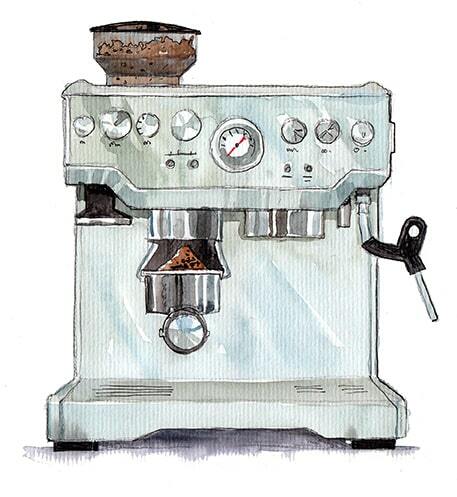 The Z9 is just about all that you could ever ask for in a fully automatic coffee machine. The only downside would be the steep retail price, which is close to $4k. Water Tank Capacity: 81 oz. The GIGA 5 is the largest and most expensive machine on this list. It is the crown jewel of the JURA home products, and is essentially double everything. With two grinders, two Thermoblock heating systems, and two bean containers, this machine is everything you need—times two. Best Suited For: You are going to need a lot of space for wherever you decide to put the GIGA 5. Best suited for larger homes with extra counter space, or offices where a standard size coffee machine isn’t quite cutting it..
12 different specialty coffee recipes, with programmable and customizable options to your preference. Venti Ports to funnel heat out of the machine, which is nearly silent through the entire process. Illumination options, and a superior design that features the strong, Swiss designs of all JURA machines. TFT color displays for easy access to programming and selection of specialty coffees. The GIGA 5 is an intense machine, but it does not boast all the same technological features as the Z9. It is also quite large, and seriously pricy. Water Tank Capacity: 87 oz. Jura offers a few accessories for their machines to augment the coffee-making experience. Note that you will not have to purchase any of these accessories if you choose a machine that comes with the function of the accessory built in. Milk Frother: For machines that do not incorporate milk based options, this milk frother can prepare cold, warm, or hot milk foam for different espresso-based beverages. It has a simple one-touch operation, and is designed with Jura’s signature style to match any machine that you pair it with. Cool Control Basic: These storage containers for milk come in 34 oz. and 20 oz. sizes. They are designed to keep milk stored at an optimal 39.2 °F before use, to give you the best tasting milk foam for your specialty and espresso-based beverages. Stainless Steel Vacuum Milk Container: These portable containers come in 20 oz. and 14 oz. sizes. They can keep your milk-based beverages cool for the entire day, preventing your latte or cappuccino from spoiling when you are away from home. Cup Warmer: Most of your coffee’s heat is lost when you pour it into a cold cup. Jura’s cup warmer keeps your cups at about 131 °F, which is the ideal temperature to pour an espresso or cappuccino into. The warmer itself is ergonomic and slim, and allows you to program the times that you would like your cups to be warmed. Professional Fine Foam Frother: This is an add-on feature that can be used with any Jura machine with a Connector System, which some machines will have solely for the purpose of adding on a milk frother. By utilizing a two-stage milk frothing process, the professional fine foam frother can prepare barista-quality milk and milk foam. The Fine Foam Frother: This is another add-on feature that performs the same function as the professional model, and requires a Connector System to attach. It does not offer the same control as the professional model, but is naturally less costly. Just as a reminder, you won’t not need to purchase any of these accessories if they come built-in on the machine that you select. These machines are without a doubt some of the highest quality automatic coffee machines on the market. The Swiss designs and engineering are extremely focused on precision, performance, and perfection in every cup. They’re serving up an experience and creating an enjoyable ritual instead of just another mindless task. While Jura may not be the best option for the first-time user, or worth the investment to someone who doesn’t often drink coffee, these machines can be the last machine that you ever buy if you take the plunge. The Jura espresso machines are built to last for as long as there are coffee beans to fill them.